Medicare is generally for people who are older or disabled, whereas Medicaid is a state-administered program for low-income and disabled U.S. citizens and legal aliens. Although many of the coverage details are determined by individual states, each state must provide certain services, such as specific hospital and doctor services. It's possible to be eligible for both Medicare and Medicaid. If you think you might qualify, you need to fill out a Medicaid application. If you do qualify, Medicaid can help pay for your Medicare premiums, deductibles, and/or coinsurance. 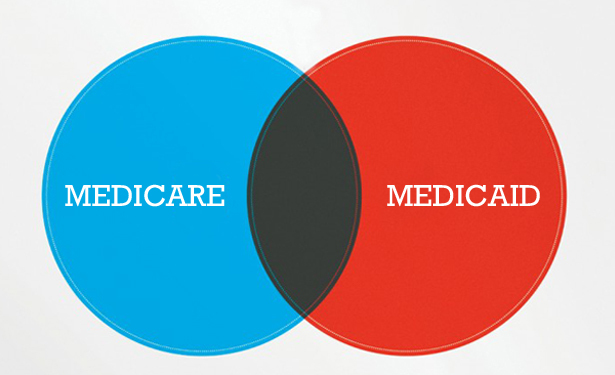 Outlined here are further differences between Medicaid and Medicare.